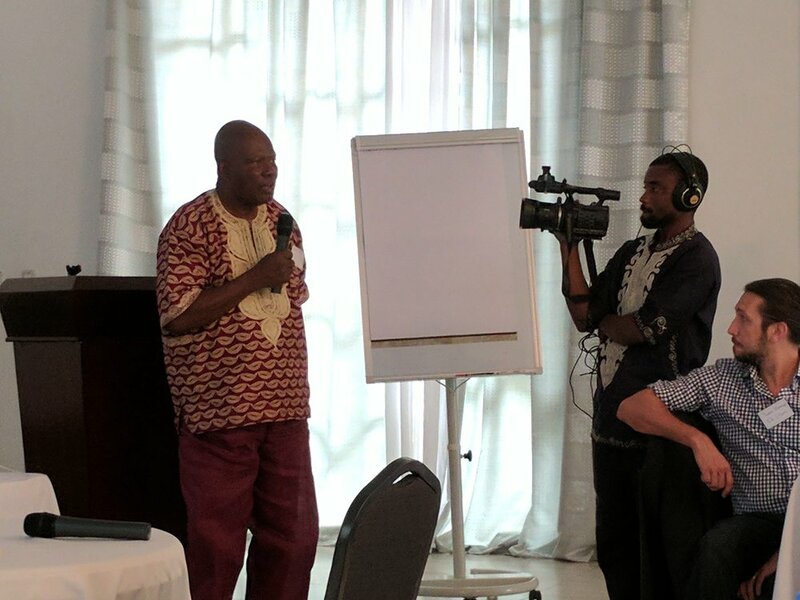 In December 2016, Conservation International (CI) held a one-day stakeholder workshop in Monrovia, Liberia to present the first findings from the joint project on Mapping Natural Capital and Natural Capital Accounting. This project is being conducted in partnership by Conservation International and the Liberian Environmental Protection Agency (EPA), under the auspices of the Gaborone Declaration for Sustainability in Africa (GDSA). This was the third such meeting in 2016, the first of which was hosted by CI and the GDSA in March 2016 and the second hosted by CI in August 2016. The workshop was well attended by a range of Liberian government agencies, including the Environmental Protection Agency (EPA), as well at the Forestry Development Authority, Ministry of Finance and Development planning and the Ministry of Agriculture, civil society, and the private sector. Mr. Togba-Nah Tipoteh, a presidential advisor, was a special guest and shared remarks on how NCA could support Liberia’s sustainable development aspirations. Presidential advisor Mr. Togba-Nah Tipoteh shared remarks on how NCA could support Liberia’s sustainable development aspirations. Daniel Juhn, Senior Director of Economics and Planning for the Moore Center for Science, Conservation International, presents during the workshop. The workshop included presentations on several natural capital maps that provided a spatial perspective of Liberia’s biodiversity, forest carbon, and freshwater natural resources. Additional analyses were presented showing areas of high importance for coastal protection as well as preliminary analyses on pilot forest and timber accounts. The data needs and ‘next steps’ for potential coastal ecosystem accounts were discussed. Workshop participants expressed support for the early project outputs, noting that the information could help inform food security programming, natural resource management, and land use planning. The day ended with a brainstorming session on the way forward, focusing on a roadmap for future work on Natural Capital Accounting in Liberia. In support of this effort, stakeholder attendees provided commitments — both large and small — to facilitate ongoing progress. In the coming months, CI and the EPA will publish a report once these preliminary mapping and accounting results are finalized, including a Map Atlas. More information about CI’s efforts on mapping natural capital and natural capital valuation can be found online. CI has been working in Liberia since 2002, supporting the government on initiatives including conservation agreements, sustainable development in the public and private sector, and conservation of key biodiversity areas.